One of the best things about living in this here Big Apple, besides 24-hour access to delivery food, is the totally awesome shopping landscape. Not only do some of the biggest and best stores call NYC home, but there are constantly new and up-and-coming pop-up shops to check out. STORY Art, the newest tenant in the rotating Chelsea space, is our latest shopping crush. The shop is a combined effort from STORY, Art.com, and Constrvct, a startup that makes clothing out of art and design provided by users. The pop-up will be hawking limited-edition pieces inspired by work from Art.com — think mod prints and brighter-than-bright colors. 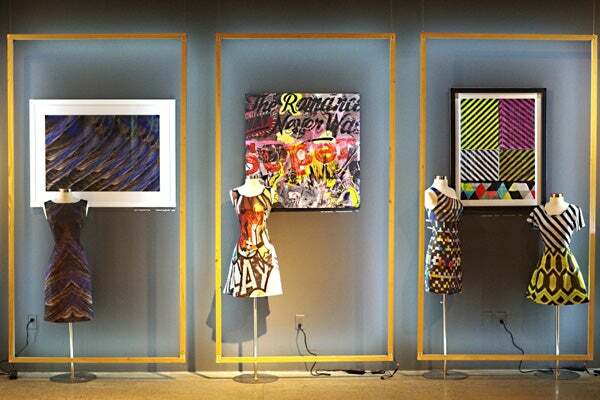 You'll be able to check out the clothes in all their glory, plus the artwork that started it all. STORY Art is open through April 16, so head to the West Side and channel your inner Picasso. STORY Art, 144 Tenth Avenue (at 19th Street); 212-242-4853. Photo: Courtesy of STORY Art.